The Keller Funnel is a surgical device that is used to position silicone breast implants using a touchless method that reduces unwanted complications. Keller Medical, Inc. is a Florida-based medical technology company that holds the patents for both the original Keller Funnel and the newer, improved Keller Funnel 2. The devices are only sold to physicians for highly specific uses as governed by their patent protection from the US government. There are many products and techniques used in the aesthetic industry, but Keller has truly differentiated itself with a peer-acclaimed product that is proven to provide numerous benefits to both patients and surgeons alike. Furthermore, the company has a detailed educational program, including surgeon certification to ensure that the product’s users are well versed in its numerous applications. This discussion focuses on the Keller silicone implant Funnel product, the technique used to implant prosthetics using the product and the advantages offered in comparison to more traditional hand-placed augmentation and reconstruction operations. 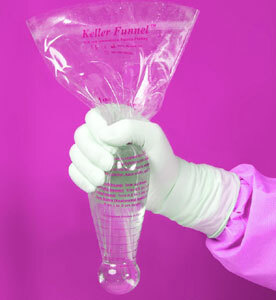 The Keller implant Funnel product was invented by Dr. Kevin M. Keller and has been used since 2009. The device consists of a sealed clear vinyl cone-shaped tube that is used to place silicone breast implants into the anatomy through various types of incisions. The main goal of its utilization is that surgeons do not have to ever touch the implant, nor does the implant have to touch the surgical wound or exterior skin of the patient. The Funnel is opened during the surgical procedure and is trimmed to provide the correct size opening on the side of anatomical insertion. There is a clearly marked guide printed on the device which allows surgeons to cut the opening to just the right size for each patient. Once the device is ready for use, it is sterilized in solution and then the breast implant is poured directly from it sterile packaging into the sleeve. There is no cross contamination or contact with any surface during this process. Once the implant is loaded into the Funnel, the smaller end is inserted carefully into the surgical incision and positioned in the pocket where the implant is to be placed. The Funnel is squeezed, ejecting the implant gently into just the right anatomical location. Typically, the surgical wound can be closed immediately afterwards, unless any adjustment must be completed manually to better seat the prosthesis. The Funnel is a disposable, single use medical device. It is not meant to be reused or shared among patients. However, it is considered fine to reuse the funnel bilaterally to place both implants in the same patient. The Funnel facilitates no-touch implant placement. This means that the prosthesis is not handled directly by the surgeon or surgical team, nor does it actually touch the exterior of the patient’s skin or the sides of their surgical incision. Touchless procedures, such as this one, markedly decrease the chances for infection. Since capsular contracture often occurs due to irritation or infection, this potentially serious complication is also reduced in frequency. Since the implant does not rub against the incision, the wound is less irritated and should heal faster and with less change for scarring. Also, since nothing actually touches the implant, the chance for microscopic damage to the prosthesis also decreases. In terms of surgeon benefits, the device reduces the time spent in the operating room. Doctors report saving 5 to 20 minutes on average when utilizing the Funnel when compared to manual implant positioning. This benefit also serves the patient well, since they will be finished quicker and will therefore have less exposure to anesthetic and general surgical risks. The Keller implant placement Funnel is not only indicated for use with silicone breast implants. It can also be use with virtually any type of silicone anatomical implant, including calf implants, pectoral implants and buttocks implants. 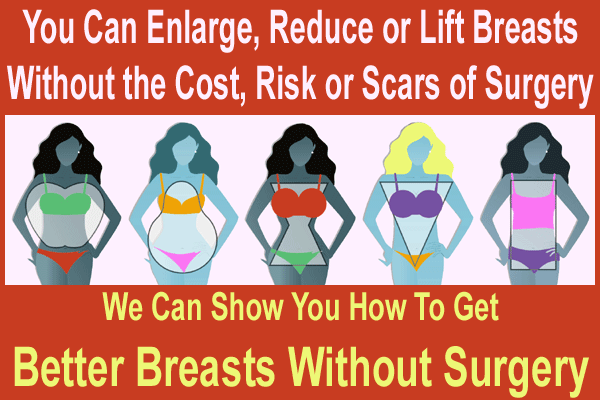 Benefits are provided across all of these various types of prosthetics, comparable to the product’s use for breast implants. Physicians can become certified in the use of the device by demonstrating experience and education with the device. Several noted plastic surgery internship and fellowship programs now use the Funnel as part of their official training of new doctors in aesthetic surgery best practices. For more information on the device as a surgeon or a patient, please contact Keller Medical directly or view their website for a complete overview of the product and its surgical applications.